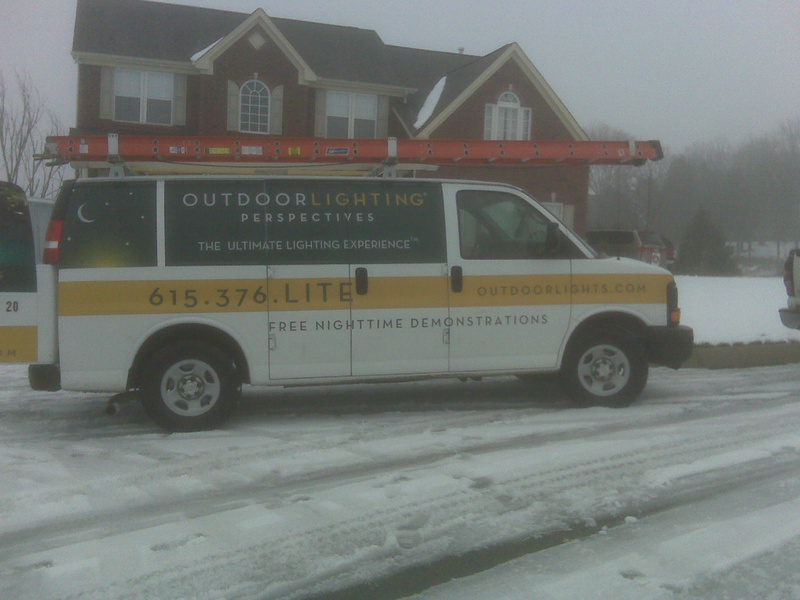 We had the opportunity to conduct an outdoor lighting install in the snow! Wow, it has been a while since we have had to do this but on Friday, 29th of January the middle Tennessee area was “blasted” with winter weather. As they say in show biz “The show must go on” and so we did. We had an install scheduled before the snow hit and we figured that the best way to gain our clients trust was to move forward with the installation. Besides the wet ground and some ice we moved through the project so the client could enjoy their newly installed architectural lighting for their Super Bowl party! 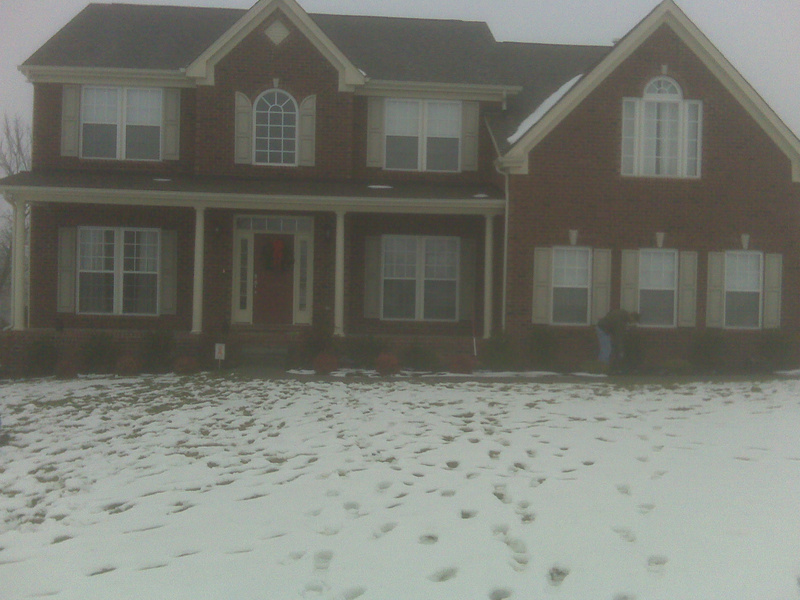 We were able to put a temporary lighting system up for our clients to view before and during the weekend of the storm. They were able to take a look at the lighting before they committed on the project. Once they made a final decision we returned and installed the outdoor lighting system that fit their needs. During the winter months home improvement projects are slowed but it is extremely important to us to find ways to aid the client in the decision making process as much as possible. Snow is defiantly a factor for slowing home projects down but we welcomed the process and the opportunity to install an outdoor lighting system for another satisfied client. This entry was posted in Landscape Lighting and tagged architectural lighting, home improvement, Outdoor Lighting, outdoor lighting system, projects, Snow, Super Bowl, winter home projects by Michael Wynn. Bookmark the permalink.